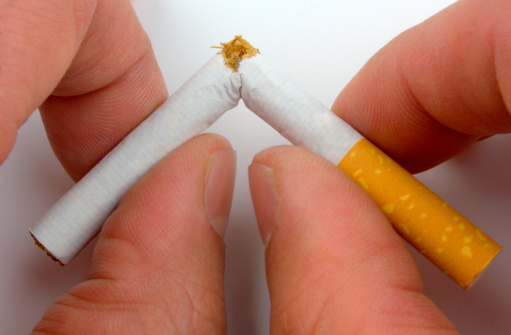 Although recent figures show the rate of smoking in the UK is still falling, sometimes those who want to quit the habit need a little boost and No Smoking Day on 11 March could be just the nudge you need. Organised by the British Heart Foundation, the charity says stopping smoking is the single best thing you can do for your heart health – not to mention your bank account! Over ten million people in the UK still smoke and about 100,000 die every year from smoking-related causes, including lung cancer, strokes and heart disease. A 25-a-day smoker is 25 times more likely to die from lung cancer than non-smokers. Quitting isn’t easy, but there is plenty of support out there, from friends and family to your GP, the NHS and the BHF’s own Stop Smoking free downloadable booklet. There are different ways of quitting, such as ‘cold turkey’ where you just stop; cutting down on cigarettes gradually and nicotine replacement therapy, which comes in many forms, from patches to nasal sprays to inhalators. – Make a date to give up – and stick to it! Throw away all your tobacco, lighters and ashtrays. – Make a plan. Think about what could help you stop smoking, such as using a nicotine-replacement product, and have it ready before the date you plan to stop. – Get support and let your family and friends know that you’re quitting. Some people find that talking to friends and relatives who have stopped can be helpful. You can also talk to your doctor, practice nurse or pharmacist about what support is available to you. – Keep busy to help take your mind off cigarettes. Try to change your routine, and avoid the shop where you normally buy cigarettes. – Treat yourself. If you can, use the money you’re saving by not smoking to buy yourself something special.